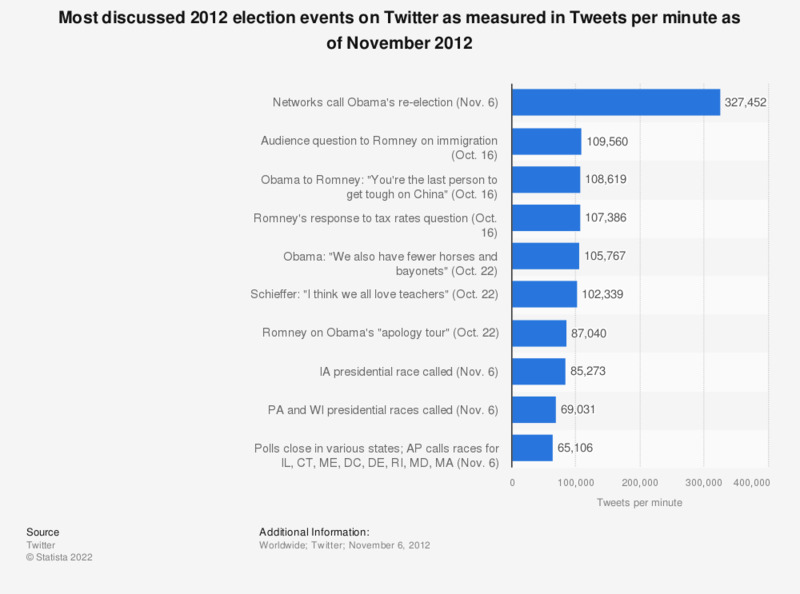 This statistic gives information on the most discussed events of the U.S. 2012 elections on Twitter, as measured in Tweets per minute. As of November 6, 2012, news organisations' call of President Obama's re-election at 11:19 PM ET was the most-tweeted election event on Twitter, generating 327,452 Tweets per minute. Further figures were taken from Twitter's blog posts about the first and second presidential debate.